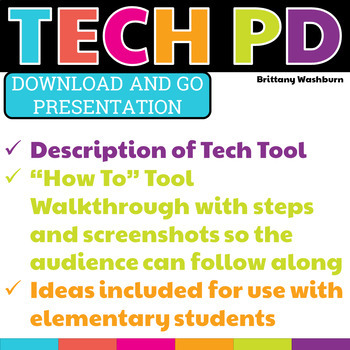 For those times when you have a 20-30 minute presentation slot and you need to teach a tech tool, this resource has your back. Description that gives background info and hooks your teachers, how to steps with screenshots, and ideas for use with elementary students. Everything you need to get your staff started with Do Ink Green Screen. 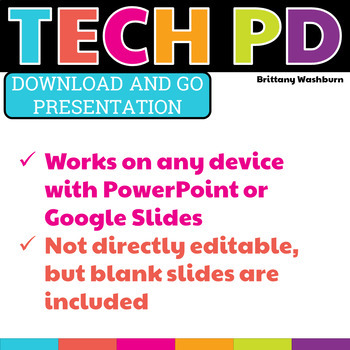 A PowerPoint presentation (that can be uploaded to your drive and opened with Google Slides). 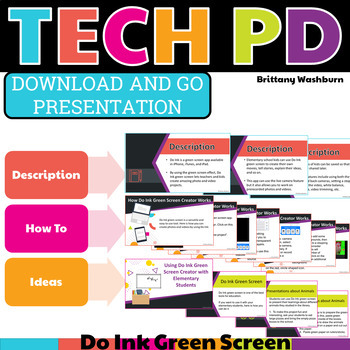 Description of the tech tool so that your audience knows the background of Do Ink Green Screen and can start to think of ways to use it with students. Full step by step walkthrough of the tool. This includes both text and screenshots. Work through it together with or without following along with devices. 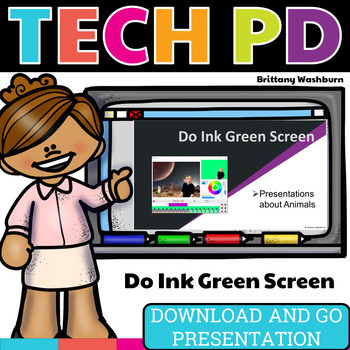 Ideas for using Do Ink Green Screen with elementary students. Blank slides in case you need to add anything specific to your school. Tips and tricks to make your presentation the best it can be. If you don't have time to put together a presentation for Do Ink Green Screen with steps, screenshots, and examples. If you're not sure yourself how the tool works but you need to present it to other people. If you want to learn a new tech tool for yourself.